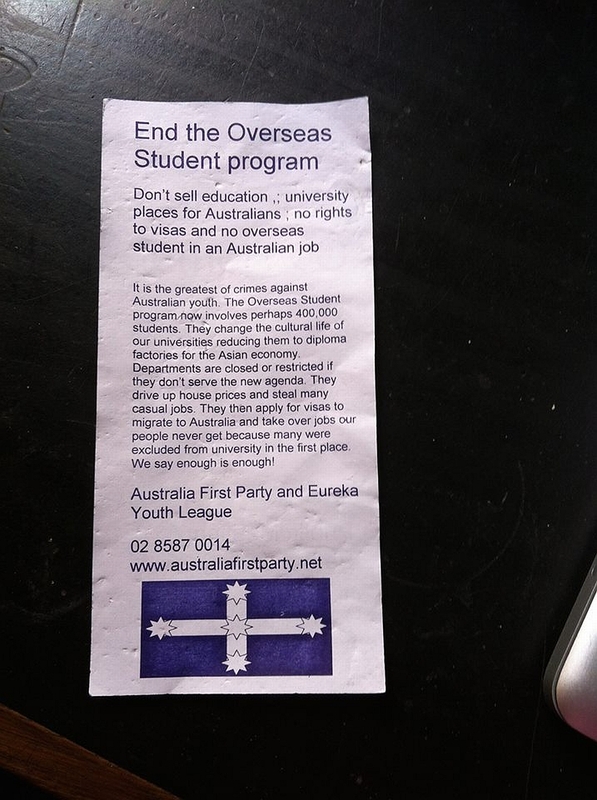 You would think Newtown in the inner city of Sydney is not a likely place to find Nazi propaganda or Nazis but recently a fan of ours found this rubbish in her letter box. 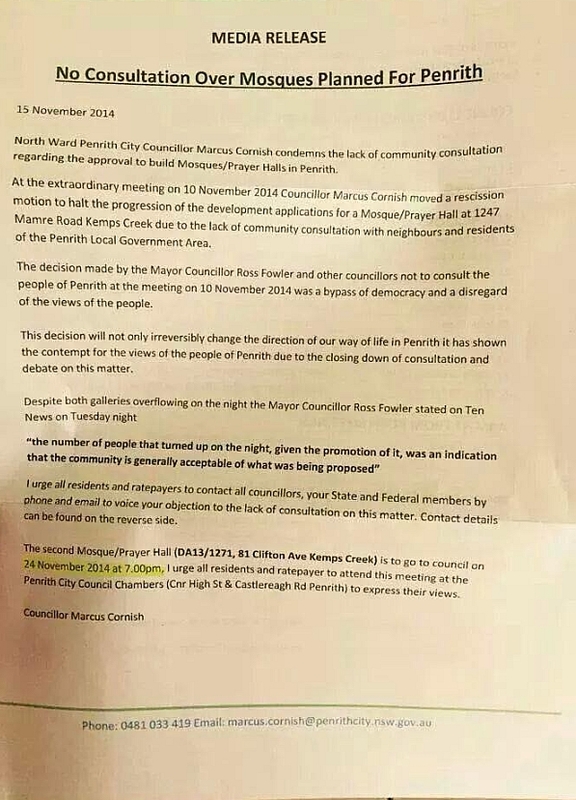 We are puzzled about the attraction of the inner city for Fascist fails. After all our inner cities are multicultural, tolerant, friendly, vibrant and interesting. Everything the Fascists are not. 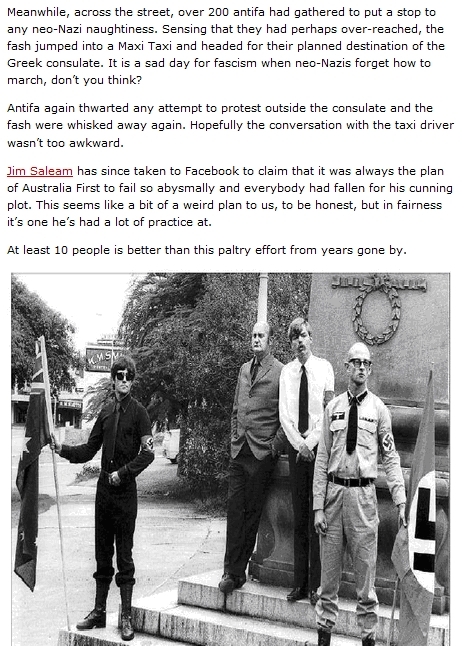 Now it’s not often that *Dr Jim Saleam, Führer of the Australia First Party, the remnants of the Nazi micro-party surge from previous years, holds a knees-up in his less than palatial poke on top of a shop in Tempe, but it looks like he wants some company. 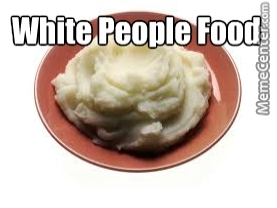 And no one holds a party like Jimmy – all white food and, one presumes, no filthy foreign beverages. * He trooly rooly has a Ph.D – he did it in prison. Here is a tussle for a Eureka flag. We put our money on the CFMEU – after all the Eureka flag is an icon of the working class and the labour movement. It does NOT belong to Fascists. Here are Jimmy’s Jokes annoying police at the Greek Consulate in Brisbane. Οι φασίστες δεν θα περάσει! Οι φασίστες δεν θα κερδίσει! Australia’s violent far right has begun to stir again, targeting Muslims in a campaign that has erupted into conflict with Islamic radicals involving at least one shooting, death threats and intimidation. The worst of the anti-Muslim drive is led by the Australian Defence League, joining a small but widening base embracing the Australia First Party, a registered political party that contests local, state and federal elections, white supremacists, neo-Nazis and skinheads. 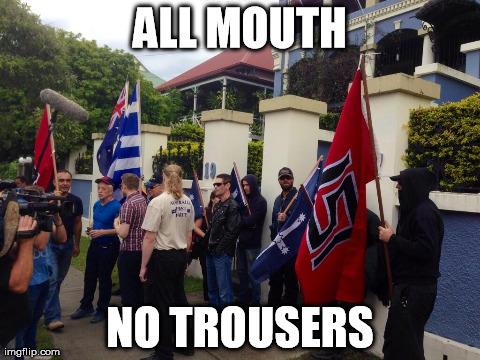 A newly formed Australian branch of Greece’s fascist Golden Dawn has been supported by Australia First. 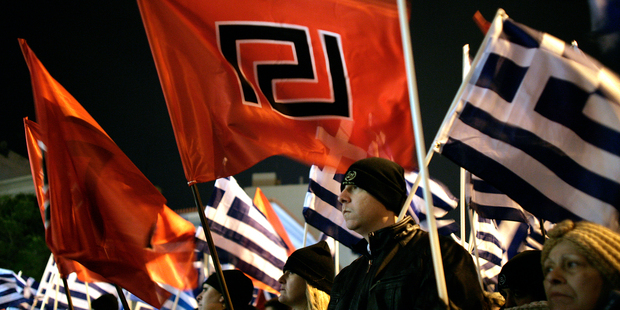 Golden Dawn has a history of violence, uses Nazi symbolism and regards Adolf Hitler as a “great personality”. Australia’s far right has drawn heavily on foreign mentors. 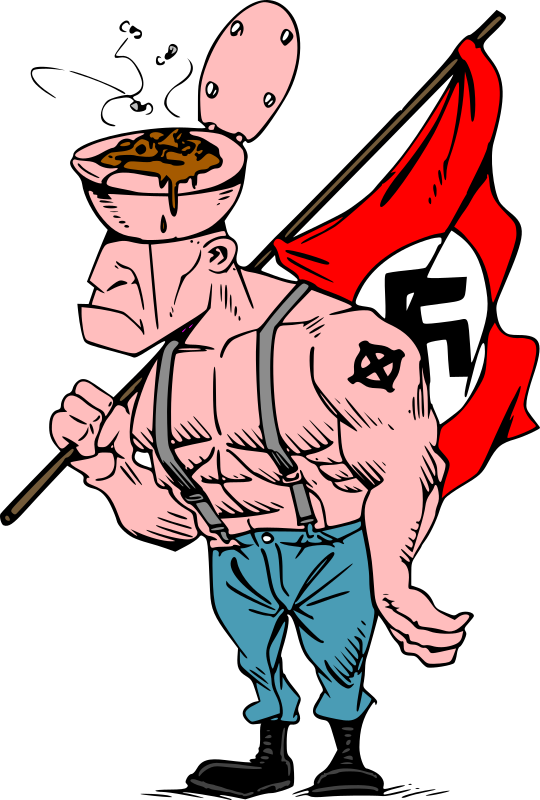 The ADL grew from Britain’s violently anti-Muslim English Defence League, with others linked to an international network of fascists and white supremacists. The domestic spy agency, the Australian Security Intelligence Organisation, said in its most recent report to federal Parliament that local groups were using protests to provoke violence, leading to “heightened tensions between anti-Islam groups and Islamist extremists”. Asio and police are now investigating rising tensions between the ADL and Muslim groups after an internet and social media hate campaign, death threats and intimidation including public abuse of Muslims. ADL members in Sydney have photographed Muslim women in city streets and on public transport, posting the images and accompanying abusive comments on the internet. This has been supported by anti-Islamic harangues and pamphlets in shopping malls. Islamic schools have also been targeted. Anti-terror agencies were alarmed by a video of Malek Fahd school in the western Sydney suburb of Greenacre, posted on Facebook and YouTube. 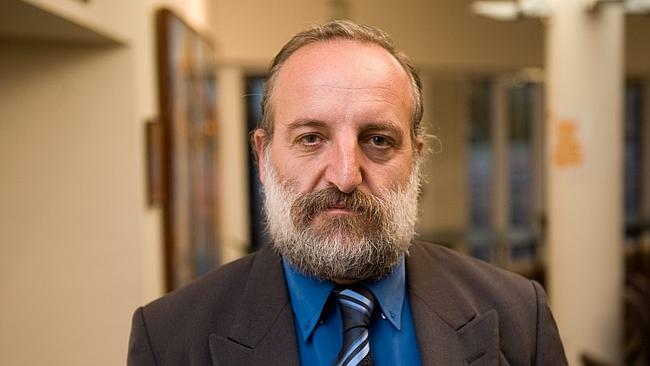 The video claimed Malek Fahd, Australia’s largest Islamic school, was a centre for terrorism and should be destroyed. The defence force has also investigated reports that the ADL has recruited within the military. 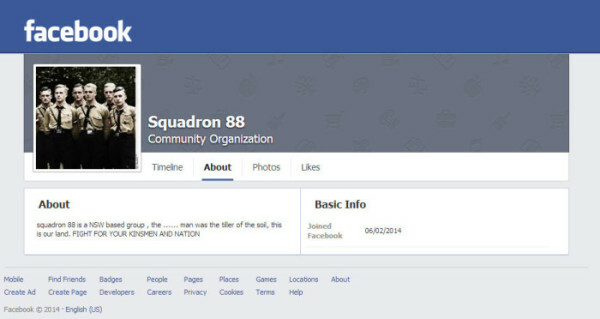 The navy said none of its sailors were ADL members, but that several had been dismissed for inappropriate use of social media. Footage of navy ships has been used in videos made by heavy metal band Eureka Brigade formed by ADL member Shermon Burgess, whose lyrics proclaimed the riot between white Australians and Lebanese youths at Cronulla in 2005 “Australia’s Muslim holocaust”. 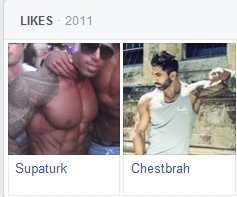 Eureka Brigade’s inflammatory songs Border Patrol (supporting operations against asylum seekers) and ADL Killing Machine are posted on the internet. Police investigations are continuing. 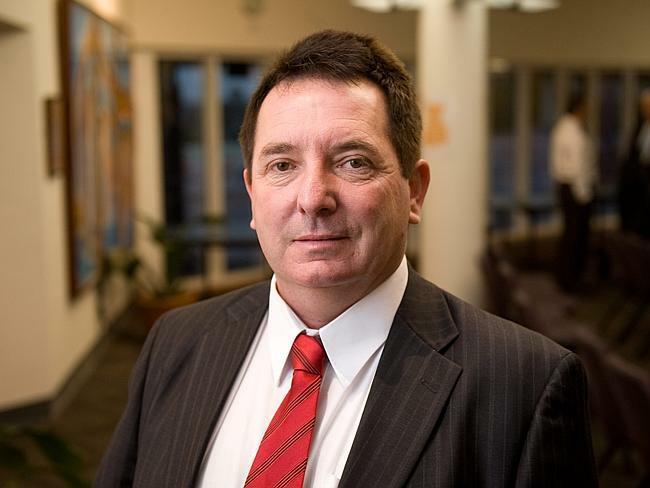 Former ADL western Sydney president Nathan Abela has been charged with offences including using a carriage service to menace, harass or offend. 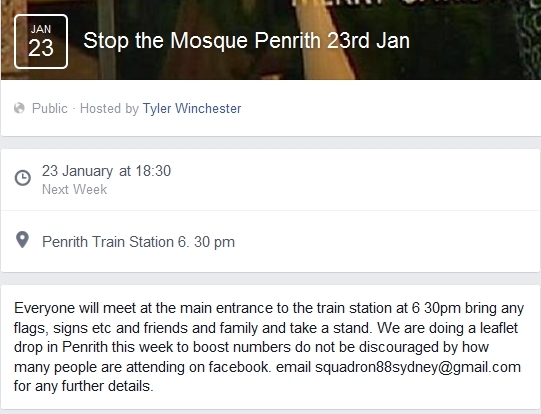 Muslim radicals are striking back. They are believed responsible for firing eight gunshots into Abela’s home. The previous day a Muslim calling himself Abu Bakr posted a YouTube video warning Abela he was a “clear target” and that if he did not accept Islam he “will die by the sword”. The ADL is among the latest of a long line of far right Australian extremists that reached a high in the 1930s with the New Guard, a militia of anti-communists and imperialists with a reputed peak membership of 50,000. Since then there have been intermittent far right risings, reaching a new peak in the 1980s with violence led by the neo-Nazi National Resistance and Australian National Alliance. Others have included the League of Rights and militias such as the Aussie Scouts, based in far western New South Wales. Numbers remain tiny, with nationwide estimates running into the low hundreds. 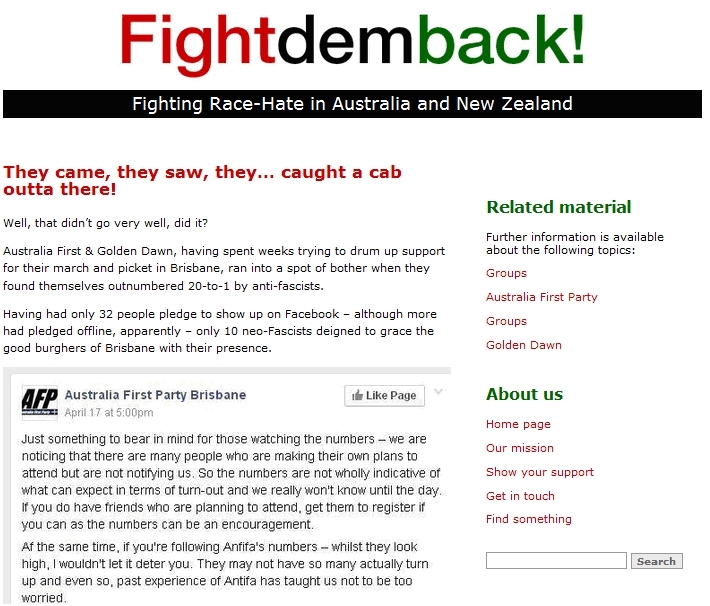 The ADL won a large Facebook following, but is believed to have as few as 30 paid members. Neo-Nazi, white supremacists and “Aussie pride” organisations also include Southern Cross Hammerskins, Blood & Honour, Volksfront and Combat 18, most derived from and linked to US, British and European groups. 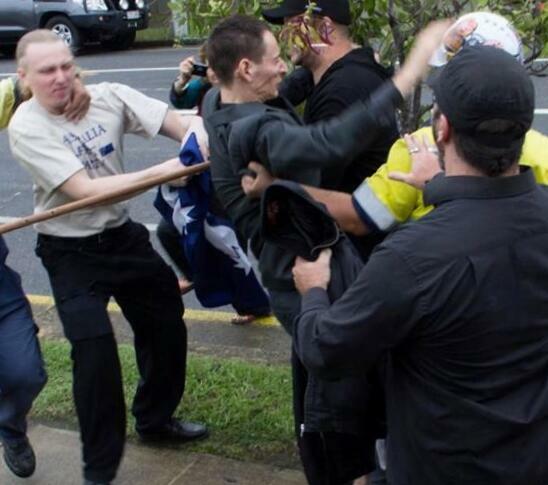 America’s notorious Ku Klux Klan also has a small Australian following. ADL regards Islam and Sharia law as a threat to Australian democracy, advocating a global stand against a religious, political and social ideology seeking to “dominate all non-believers and impose a harsh legal system that rejects democratic accountability and human rights”. 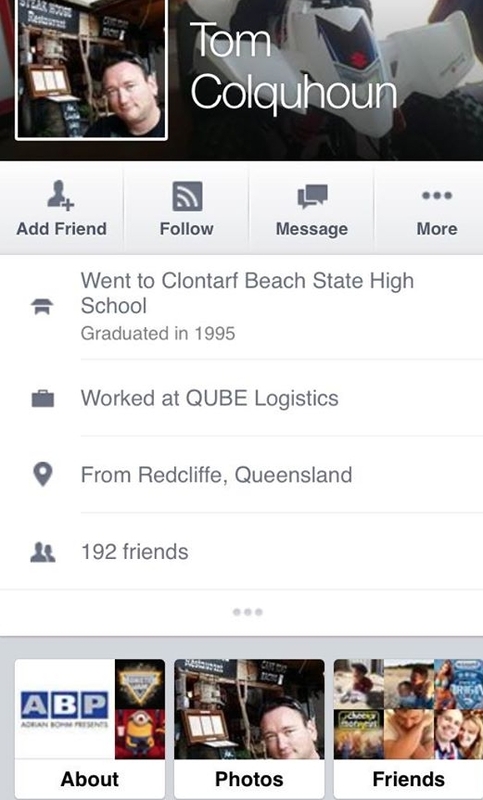 Australia First says Australia is a client state. “The unfolding population/food crisis coupled with new world order wars launches refugee hordes at Australia’s borders, whilst the traitor class sponsors a mass immigration recolonisation of Australia for the purposes of economic enmeshment with the global economy,” its website says. Volksfront Australia : Back With A Bang! believe that the announced dissolution of Volksfront should be treated with some caution: Volksfront has auto-dissolved once before, in 1998, when members of Volksfront in Portland including Krager were under increased police scrutiny and decided to take apart Volksfront as an above-ground organization. Volksfront then publicly resurfaced in 2001 after three years underground. Randal Krager also made a December 2004 announcement that he had given up leadership of the organization, but was soon enough back as the head of Volksfront. 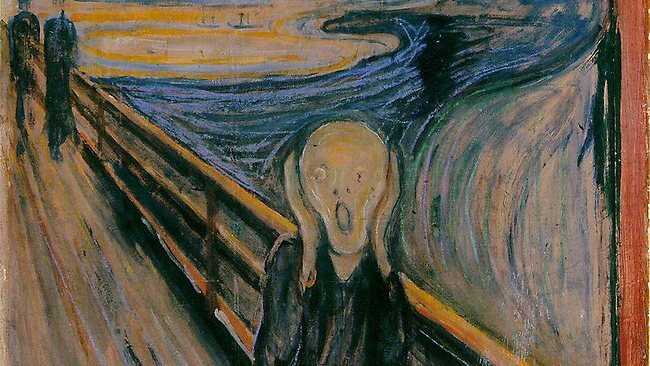 The latest Volksfront announcement may therefore mainly be made out of political convenience. 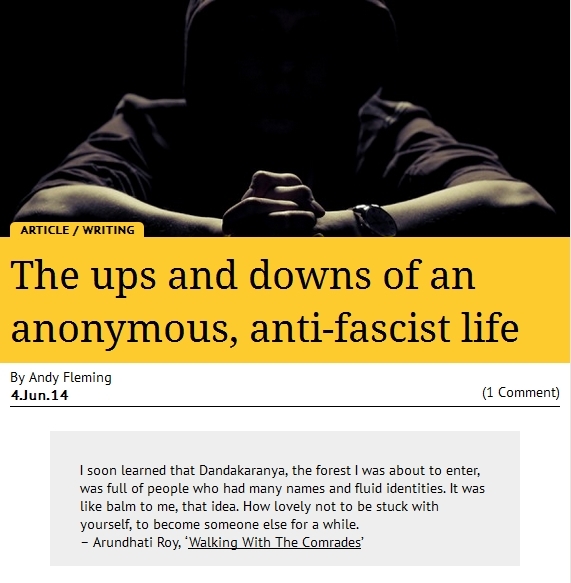 It is possible that key Volksfront activists will continue to work as an underground network, as there is precedent for this in the organization’s history. Note that prior to this point, VF has operated only in NSW, and a gentleman’s agreement has existed between it and the boneheads belonging to the Southern Cross Hammerskins, restricting VF’s activities to that state. Presumably, the two gangs have arrived at a new understanding. 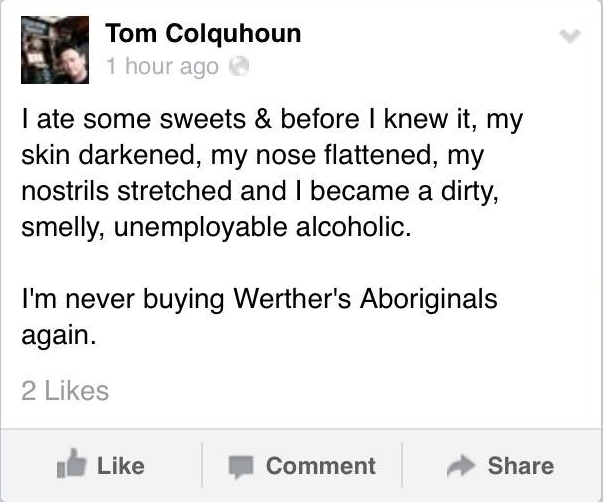 (Smith runs the Anti-Antifa Australia blog and distributes neo-Nazi propaganda via the Heathen Noise website.) Otherwise, VF has worked in close cooperation with Welf Herfurth’s ‘national anarchist’/ New Right groupuscule in Sydney, and these ties would appear to remain fairly strong. A former member of the neo-Nazi “Crazy Whiteboys” gang at a Port Melbourne school who attacked a Vietnamese international student by smashing a brick over his head with such force the brick broke in two has had his minimum jail term reduced by one year. Shannon Hudson, 22, had been jailed for 10 years and six months with a non-parole period of eight years over the savage race-hate attack, which a Supreme Court judge described as “deplorable”, “brutal” and “unprovoked”. Court of Appeal Justices Peter Buchanan, Marcia Neave and Phillip Priest allowed Hudson’s appeal against his sentence on Tuesday and reduced his non-parole period to seven years. Justice Buchanan said Hudson’s crime was one of “wanton and unprovoked viciousness” but while the total jail sentence was within an acceptable range, the non-parole period was too severe for such a young offender. About 10pm on June 27 last year, Hudson, Wayne O’Brien and another friend, who cannot be identified because he was 17, were on their way to Hudson’s Ascot Vale home after a day of drinking in the city, when they noticed the student walking on the opposite side of Rothwell Street, listening to music on his iPhone. The student was on his way home from his part-time job at a 7-Eleven. The court heard that one of the three ran across the road and the others followed and began punching and kicking their victim in the head, face and body. They taunted him and yelled things including “you f—ing Gook” and “lie down you dog, you yellow dog” as the man begged for his life. Hudson and O’Brien had been members of the Crazy Whiteboys gang at school. Supreme Court Justice Betty King, when jailing Hudson and O’Brien, said their victim was “terrified and believed he was going to be beaten to death”. The victim repeatedly asked why they were attacking him before he was stabbed and fell unconscious in the gutter. “Despite that, it would appear that the assault continued,” Justice King said. After his arrest, O’Brien told police that Hudson had wielded the brick like a sledgehammer. The victim, who the judge said was almost unrecognisable as a human being after the bashing, suffered multiple lacerations to the head, face and body; a fractured skull; a torn left cheek and lip requiring stitches and plastic surgery; a stab wound to the left forearm; two stab wounds to the lower back; the loss of several front teeth and numerous crooked teeth which required realignment or removal. He needed facial reconstructive surgery and continues to receive treatment, particularly in relation to his jaw and dental problems. In his victim impact statement, the student said he had trouble speaking and was fearful of strangers. Justice King said Hudson and O’Brien had been incredibly fortunate that the student did not die. 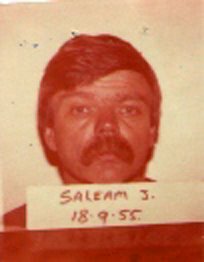 Hudson was jailed for 10 years and six months with a non-parole period of eight years, while O’Brien, who had no previous convictions and had co-operated with authorities, was jailed for four years and six months with a non-parole period of two years and six months. The 17-year-old was dealt with in the children’s court.